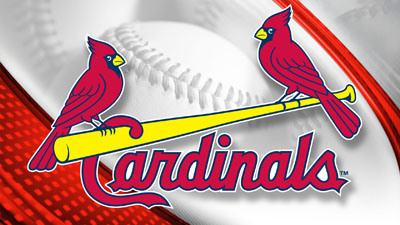 Cardinals GM John Mozeliak called his team’s defense “porous” and suggested that the club would look to improve in that area this winter, Rick Hummel of the St. Louis Post-Dispatch reports. 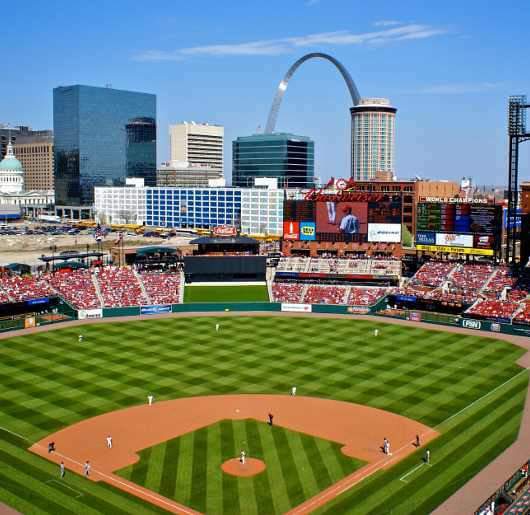 This year’s St. Louis team has been one of the worst in baseball by measure of UZR. Mozeliak evidently agrees with that assessment, though it should be noted that DRS rates the Cards’ D as average. Apart from the matter of allowing unearned runs, the Cardinals landed in the middle of the pack at preventing earned runs, posting a 4.13 team ERA one season after running up a league-best 2.94 mark. Clearly, there are other causal factors at play beyond the glovework. The pitching staff’s uninspiring performance is chief among them, but there was also some inevitable regression in store after the team’s hurlers outperformed the peripherals last year. Still, the runs prevented by stellar defense are just as valuable as those avoided owing mostly to pitching. It will be interesting to see what route the organization takes to improve its defensive effort in 2017. The infield seems largely set heading into the winter, but perhaps the outfield will be an area of focus. Matt Holliday remains a question mark — his option probably will not be exercised, but he could be retained — and the Cards could look to fill in with a defensively proficient replacement or instead pursue a new center fielder while shifting Randal Grichuk to the corner. Lets now forget pitching now.. True, but I have more hope for the future with a healthy staff and the young arms. But I was utterly dismayed at a game a few weeks ago when we fielded a starting lineup without a position player hitting over .300 (or even .290). Average isn’t everything. the Cubs currently don’t have a single starter hitting over .300 either. Not to take the performance away from the players but how much better would the team be/have been this season with Oquendo around. I agree Oquendo was holding the team together, he will be back in fall to teach younger players fromnthe minors and hooefully back with the big club next year! Maybe the return of Jon Jay? Best SS Cardinals have had in years, hes got better as the year has went on! The infield is “set”? Okay, so what will be the infield in 2017? So where does that leave Peralta and Gyroko? I wonder how long they have tried to trade Adams? There’s been a lot of interest in Adams. I think the problem has been that the Cardinals haven’t felt that the return was worth parting with Adams, but the longer they showcase him, and he doesn’t actually “Break Out Further”…….the lower the return becomes. I was hoping that he would explode once he got his feet wet, and I know he’s had some injuries, but I’d surmise that he’s just not become “the player they thought he would be”. He just turned 28 a few weeks ago. His value drops every day. They probably need to either “Go All In” with him………..or trade him for a decent return and move on. Tough choice either way. This is probably the infield with the largest amount of proven depth, with Gyorki being average at the least in all four spots, and Peralta providing a high-quality right-handed bat to use in a platoon with Kolten Wong. However, aside from Matt Carpenter, there is no real sense of consistency from the plate when it comes to this infield. Aledmys Diaz’s sOPS+ dropped from 146 in the first half to 112 in the second half. I feel that unless Mozeliak is set, he should trade Adams or Wong for relief depth and/or prospects. I mean, the infield mix is set in terms of who’ll be in it, not how playing time will be distributed. Unless they make some really major moves, there isn’t any room to add. Maybe a first baseman, I guess. I was discussing which areas they could look at for fielding improvement with a change in personnel. Our set lineup was similar at the start of 2016. I think you answered the question already of where it leaves Gyorko and Peralta. Where did they play this year? It’s been such a strange year; poor fielding, which resulted in poor pitching (cuz their pitchers pitch to contact), a one-dimensional offense that hits home runs but nothing else, poor managing by Matheny, and poor play at home. It surprises me that they’re in the WC race considering the year they’ve had. Because they are the Cardinals? It’s ridiculous that it took Holliday’s annual injury to get Grichuk into the lineup everyday. He has played much better since the ASB. Wong has clearly regressed. And is Wainwright through or was this season an anomaly? You can’t be serious. Wong and “best defense” should never be used in the same sentence. Wong has no role on this team. And Grichuk is an average player with some pop. Let’s not hang our WS hopes on those two guys. Wong tends to make the impossible defensive play look easy and the routine play difficult. Please flip Wong to the Angels. He’s on a club friendly deal and will thrive once he leaves the Cardinals. I flip the Wainright and Rosenthal roles? Make Rosy a starter and make curve ball nasty the closer or set up. Health looks to be a large issue for the Cardinals this season as well. Only three batters (Piscotty, Molina, Carpenter) with 475+ plate appearances this season thus far. Jedd Gyorko and Brandon Moss, two players not expected to get large amounts of playing time this season, tied for the team lead in HR with 27. Moz is not going to do anything earth shattering. He obviously is incapable of doing that because he depends on depleting the Cardinals minor leagues, and low hanging fruit. Well Moz, you, Mathaney and Lilliquist have run out of what Jockerty, LaRussa, and Duncan built into Champions. Moz, Mathaney and Lilliquest ineptness has been exposed this season. When the final straw fell from the coaches of those championship teams, Oquendo, it shows it all!!! Jocketty destroyed the farm, for the Cardinals, on a regular basis. He was always able to put a decent product on the field because he had the money to do so. It wasn’t until the farm became the value it has become that any Cardinal fan noticed that destroying the farm is not a sustainable idea. Jocketty took the same philosophy with him to the Reds and, with fewer dollars to play with, has effectively made them one of the worst teams in baseball. Fielding would of been fine if Oquendo wasnt out with knee surgeries! What needs to happen is Matheny, Lilliquist, Mabry, Holliday, Moss & Jaime all need to go but ownership dont want to spend money! Starting infield needs to be Molina, Carpenter, Wong (he deserves to start he will hit if he plays), Peralta or Gyorko(depends on who hits in spring) & Diaz! Cardinals need to make a run for Cespedes to pkay LF! But once again ownership won’t spend money to do so! Is Mabry all that bad? Why is every Cards fan so high on Wong. He is abysmal. Gyorko is serviceable as a super-utilty, to go along with Peralta and Carpenter. But Wong? He can’t hit and he has no baseball IQ. I can’t speak to Wong’s baseball IQ but I will say his struggles seem more on the mental side as opposed to his athleticism? Wong when he plays on a regular basis hits but since hes not a Matheny boy he gets benched! Don’t let him blow smoke at you Cardinal fans!!! All you will see out of Moz is the same you’ve been seeing since 2012. He’ll do nothing.!!!! He appears incapable of being able to make strong trades in the Cardinals favor. He’s been like the slum lord of GM’s these past 5 seasons. I don’t know if he’s really incapable, or that all of the other GM’s play him as a fool and take advantage of him. Moz said, this season is not MM’s fault because of what he has to work with! Well Duh Moz—- don’t you realize you just threw the bus on top of yourself????? Then I guess it’s Moz’s fault!!!! I have bought season tickets for the last 25 years!!! I’m not in 2017. I can’t bear to watch this fantastic franchise fall apart. And, at my age, with the management we have in place, I won’t live long enough to see things turn around!!! You have been a rather fortunate season ticket holder the past 25 years. Imagine having season tickets the past 25 years as a Cub fan? With that said, you might look at season tickets for the Cubs for the next 25? Or as long as Epstein is around. Carpenter, Diaz, Gyroko, Wong, Peralta, Adams under contract for next year, and you have to think they want Moss back. Other than Adams being moved, I don’t see where they can improve and not outright replace a player. Gyroko might have some value in a trade though. I guess trade Adams for a glove first backup, left handed hitting shortstop? what can you get for Adams? Wong? This time next year could be the conversation of why we overpaid for Cespedes? Peralta and Adams will hopefully not be back in 2017. That helps solidify things. Adams I see being moved, although I have seen him being moved the past few years? Peralta stays if the Cards are in contention in 17. If not, he should get us a nice return by trade deadline on his back-ended friendly contract. Go get a hitting left fielder ( Cespedes) and get a starting 1st baseman. Keep Gyroko and Moss for backups. Gyorko isn’t going anywhere hes signed through 2021 and Moss will not be back! Cardinals will go out and get Cespedes or Fowler after they opt out of there deals!